Educational psychology is a dynamic discipline with immense potential applications. It includes study of subjects such as theories of learning and motivation, span of life development, cognitive science, neurobiology, linguistics, psychosocial studies, and moral development. Much of the research in this field is designed to address the desire of teachers to improve their skills, methods, and testing. In a broader sense, anyone that provides guidance, instruction, mentoring, and example to another is considered an educator. The information gained from this discipline is of value to parents, social workers, ministers, health care workers, organizational trainers, coaches, and persons seeking self improvement. Ultimately, the goal of those working in the field of educational psychology is to understand the processes and conditions under which human beings, both in childhood and throughout their lifespan, learn to become mature human beings who fulfill their individual potential, live in service to their community, and exercise loving stewardship over the environment. Educational psychology does not claim priority in the systematic analysis of educational processes. Philosophers of education such as Democritus, Quintilian, Vives, and Comenius, had examined, classified, and judged the methods of education centuries before the beginnings of psychology in the late 1800s. Instead, aspirations of the new discipline rested on the application of the scientific methods of observation and experimentation to educational questions. Thorndike's view was similar to B. F. Skinner's operant conditioning theory. Common assumptions included the similarities between human beings and animals regarding learning from stimulus and response mechanisms, and the notion that a newborn infant arrives into life with a "blank slate." Their behavioristic ideas formed the generally accepted foundation of the educational science field for fifty years. Jumping forward several decades, Jean Piaget's theory of cognitive development gained popularity in the 1960s and early 1970s. Piaget rejected the two proposed explanations of the origins of knowledge: empiricism and nativism, creating a third alternative, which came to be known as "constructivism." The Russian psychologist, Lev Vygotsky, also developed a constructivist approach to learning, although he attributed greater importance to social interactions than Piaget. His work became available to the English-speaking world in 1962. His theory of education gained popularity in the late 1960s and early 1970s. Information processing theory was initiated in the 1960s but really came into popularity in the U.S. in the 1980s. This theory explains learning as the "encoding" of "chunks" of information into short term and long term memory, utilizing icons or mental pictures. Connectionist theory was derived, in part, from information processing theory. Learning, in this theory, is based on patterns of connections between inhibitory and exhibitory activations between brain nodes. Ironically, this theory shares much in common in practice with Thorndike's theory in its emphasis on repetition and feedback. Neuropsychology developed in a similar time frame as connectionist theory, gaining in acceptance through the 1990s into the twenty-first century. It is concerned with the physiological aspects of the cellular and chemical structure of the brain (the location of the inhibiting and exhibiting activities). Two fundamental assumptions that underlie formal educational systems, agreed on by all theorists, are that students (a) retain knowledge and skills they acquire in school, and (b) can apply them in situations outside the classroom. There is considerable evidence that the first assumption is valid. Even when students report not using the knowledge acquired in school, a considerable portion is retained for many years, and long term retention is dependent on the initial level of mastery. There is less consensus on the crucial question of how much knowledge acquired in school transfers to tasks encountered outside formal educational settings. Some argue that evidence for this type of "far transfer" is scarce,  while others claim there is abundant evidence of far transfer in specific domains. Such variation was in fact predicted by Thorndike's early work on learning. He observed that transfer of learning occurs when there are "common elements" in the two domains. The identification of what constitute those common elements, however, has been difficult to achieve. Beyond these basic assumptions, there is a natural variance of opinion among theorists concerning the best approach to use to obtain desired outcomes. Heated debate has taken place between those that adhere to different approaches. Approaches to learning commonly used in educational psychology include Behaviorism, Cognitivism, Social Cognitivism, and Constructivism. Applied behavior analysis, a set of techniques based on the behavioral principles of operant conditioning, has been found effective in a range of educational settings. For example, teachers can improve student behavior by systematically rewarding students who follow classroom rules with praise, stars, or tokens exchangeable for sundry items. Despite demonstrated efficacy of rewards in changing behavior, their use in education has been criticized by proponents of self-determination theory, who claim that praise and other rewards undermine intrinsic motivation. There is evidence that tangible rewards decrease intrinsic motivation in specific situations, such as when the student already has a high level of intrinsic motivation to perform the goal behavior. But the results showing detrimental effects are counterbalanced by evidence that, in other situations, such as when rewards are given for attaining a gradually increasing standard of performance, rewards enhance intrinsic motivation. Among educational psychologists, the cognitive perspective is more widely held than the behavioral perspective, perhaps because it flexibly admits causally related mental constructs such as traits, beliefs, memories, motivations, and emotions. Cognitive theories posit memory structures that are thought to determine how information is perceived, processed, stored, retrieved, and forgotten. Cognitive psychologists theorize that memory structures are separate but linked to visual and verbal systems, in ways such as described by Paivio's "dual coding theory," which has been used to explain how people learn from multimedia presentations. The "spaced learning" effect, a cognitive phenomenon strongly supported by psychological research, has broad applicability within education. For example, students have been found to perform better on a test of knowledge about a text passage when a second reading of the passage is delayed rather than immediate (see figure). Much research activity in educational psychology has focused on developing theories of self-regulated learning (SRL) and metacognition. These theories work from the central premise that effective learners are active agents who construct knowledge by setting goals, analyzing tasks, planning strategies, and monitoring their understanding. Social cognitive theory is a highly influential fusion of behavioral, cognitive, and social elements that was initially developed by educational psychologist Albert Bandura. In its earlier, neo-behavioral incarnation called "social learning theory," Bandura emphasized the process of observational learning in which a learner's behavior changes as a result of observing others' behavior and its consequences. The theory identified several factors that determine whether observing a model will affect behavioral or cognitive change. These factors include the learner's developmental status, the perceived prestige and competence of the model, the consequences received by the model, the relevance of the model's behaviors and consequences to the learner's goals, and the learner's self-efficacy. The concept of self-efficacy, which played an important role in later developments of the theory, refers to the learner's belief in his or her ability to perform the modeled behavior. An experiment by Schunk and Hanson, that studied students in second grade who had previously experienced difficulty in learning subtraction, illustrates the type of research stimulated by social learning theory. One group of students observed a subtraction demonstration by a mathematics teacher, and then participated in an instructional program on subtraction. A second group observed other second grade students performing the same subtraction procedures, and then participated in the same instructional program. The students who observed peer models scored higher on a subtraction post-test, and also reported greater confidence in their subtraction ability. The results were interpreted as supporting the hypothesis that perceived similarity of the model to the learner increases self-efficacy, leading to more effective learning of modeled behavior. It is supposed that peer modeling is particularly effective for students who have low self-efficacy. Constructivism refers to a category of learning theories in which emphasis is placed on the agency and prior knowledge of the learner, and often on the social and cultural determinants of the learning process. Educational psychologists distinguish individual (or psychological) constructivism, identified with Piaget's learning theory, from social constructivism. A dominant influence on the latter type is Lev Vygotsky's work on sociocultural learning, describing how interactions with adults, more capable peers, and cognitive tools are internalized to form mental constructs. Vygotsky's version of constructivist theory has led to the view that behavior, skills, attitudes, and beliefs are inherently situated, that is, bound to a specific sociocultural setting. According to this view, the learner is acculturated through social interactions within a community of practice. Elaborating on Vygotsky's theory, Jerome Bruner and other educational psychologists developed the concept of "instructional scaffolding," in which the social or information environment offers supports for learning that are gradually withdrawn as they become internalized. The approach to teaching and learning known as "cognitive apprenticeship," in which the tacit components of a complex skill are made explicit through conversational interactions occurring between expert and novice in the setting in which the skill is embedded, is another product of the social constructivist approach. For example, educational psychologists have researched the instructional applicability of Jean Piaget's theory of development, according to which children mature through four stages of cognitive capability. Piaget hypothesized that children are not capable of abstract logical thought until they are older than about 11 years, and therefore younger children need to be taught using concrete objects and examples. Researchers have found that transitions, such as from concrete to abstract logical thought, do not occur at the same time in all domains. A child may be able to think abstractly about mathematics, but remain limited to concrete thought when reasoning about human relationships. Piaget's most enduring contribution is his insight that people actively construct their understanding through a self-regulatory process. Considerable research arising from the study of the neurology of the brain in the late 1980s, opened a new understanding of the correlation between learning and brain development from the fetal stage through the last years of life. This previously unknown correlation raised the importance of the first three years of life in the ability of the child to succeed in all domains of growth, including motor skills, social and emotional skills, literacy, numeracy, and other cognitive skills. The relationship of brain chemistry to education also emerged at this time and brought light to problems found in students with learning disabilities due to poor nutrition, poor home environments, lack of security and caretaking, abuse, and stress. On the other side of the coin, the benefit of healthy attachments and home environments to the student's ability to learn was also revealed through these studies. Each person has an individual profile of characteristics, abilities, and challenges that result from learning and development. These manifest as individual differences in intelligence, creativity, cognitive style, motivation, and the capacity to process information, communicate, and relate to others. Although theories of intelligence have been discussed by philosophers since Plato, the invention of intelligence testing is coincident with the emergence of educational psychology. Continuing debates about the nature of intelligence revolve on whether intelligence can be characterized by a single factor (general intelligence or IQ), multiple factors (as in Robert Sternberg's "triarchic theory of intelligence" and Howard Gardner's theory of "multiple intelligences"), or whether it can be measured at all. In practice, standardized instruments such as the Stanford-Binet IQ test and the Wechsler Intelligence Scale for Children (WISC) are widely used in economically developed countries to identify children in need of individualized educational treatment. Children classified as gifted are often provided with accelerated or enriched programs. Children with identified deficits may be provided with enhanced education in specific skills or specially designed learning environments. The most prevalent disabilities found among school age children are attention-deficit hyperactivity disorder (ADHD), learning disability, dyslexia, and speech disorder. Less common disabilities include mental retardation, autism, hearing impairment, cerebral palsy, epilepsy, and blindness. Motivation is an internal state that activates, guides, and sustains behavior. Educational psychology research on motivation is concerned with the volition or will that students bring to a task, their level of interest and intrinsic motivation, the personally held goals that guide their behavior, and their belief about the causes of their success or failure. Motivational theories explain how learners' goals affect the way that they engage with academic tasks. Those who have "mastery goals" strive to increase their ability and knowledge. Those who have "performance approach goals" strive for high grades and seek opportunities to demonstrate their abilities. Those who have "performance avoidance" goals are driven by fear of failure and avoid situations where their abilities are exposed. Research has found that mastery goals are associated with many positive outcomes, such as persistence in the face of failure, preference for challenging tasks, creativity, and intrinsic motivation. Performance avoidance goals are associated with negative outcomes, such as poor concentration while studying, disorganized studying, less self-regulation, shallow information processing, and test anxiety. Performance approach goals are associated with generally positive outcomes, and some negative outcomes, such as an unwillingness to seek help and shallow information processing. Students' beliefs about the causes of academic success or failure may also affect their emotions and motivations. For example, when students attribute failure to lack of ability, and ability is perceived as uncontrollable, they experience the emotions of shame and embarrassment, and consequently decrease effort and show poorer performance. In contrast, when students attribute failure to lack of effort, and effort is perceived as controllable, they experience the emotion of guilt and consequently increase effort and show improved performance. The research methods used in educational psychology tend to be drawn from psychology in general, as well as other social sciences. There is also a history of significant methodological innovation by educational psychologists, and psychologists investigating educational problems. Research methods address problems in both research design and data analysis. Research design informs the planning of experiments and observational studies to ensure that their results have internal, external, and ecological validity. Data analysis encompasses methods for processing both quantitative (numerical) and qualitative (non-numerical) research data. 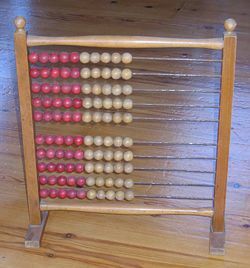 Although, historically, the use of quantitative methods was often considered an essential mark of scholarship, modern educational psychology research uses both quantitative and qualitative methods. Test scores and other educational variables often approximate a normal distribution. 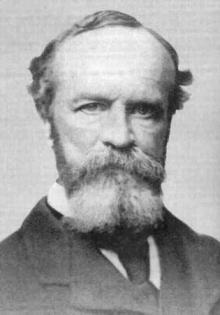 Among the important methodological innovations of educational psychology was the development and application of factor analysis by Charles Spearman. Factor analysis is used to summarize relationships among a large set of variables or test questions, develop theories about mental constructs such as self-efficacy or anxiety, and assess the reliability and validity of test scores. Over one hundred years after its introduction by Spearman, factor analysis has become a research staple figuring prominently in educational psychology journals. Because educational assessment is fundamental to most quantitative research in the field, educational psychologists have made significant contributions to the field of psychometrics. For example, "alpha," the widely used measure of test reliability, was developed by educational psychologist Lee Cronbach. This measure of the reliability of assessments is routinely reported in quantitative educational research. "Meta-analysis," the combination of individual research results to produce a quantitative literature review, is another methodological innovation with a close association to educational psychology. In a meta-analysis, effect sizes that represent, for example, the differences between treatment groups in a set of similar experiments, are averaged to obtain a single aggregate value representing the best estimate of the effect of treatment. Several decades after Karl Pearson's work with early versions of meta-analysis, Gene V. Glass published the first application of modern meta-analytic techniques and triggered their broad application across the social and biomedical sciences. Qualitative methods are used in educational studies whose purpose is to describe events, processes, and situations of theoretical significance. The qualitative methods used in educational psychology often derive from psycholinguistics, anthropology, or sociology. For example, the anthropological method of ethnography has been used to describe teaching and learning in classrooms. In studies of this type, the researcher may gather detailed field notes as a participant observer or passive observer. Case studies are forms of qualitative research focusing on a single person, organization, event, or other entity. Qualitative analysis is most often applied to verbal data from sources such as conversations, interviews, focus groups, and personal journals. One of the most commonly used methods for qualitative research in educational psychology is "protocol analysis." In this method the research participant is asked to "think aloud" while performing a task, such as solving a math problem. In protocol analysis the verbal data is thought to indicate which information the subject is attending to, but is explicitly not interpreted as an explanation or justification for behavior. In contrast, the method of verbal analysis does admit learners' explanations as a way to reveal their mental model or misconceptions. Conversation analysis and discourse analysis, psycholinguistic methods that focus more specifically on the structure of conversational interchange (such as between a teacher and student), have been used to assess the process of conceptual change in science learning. Qualitative methods are also used to analyze information in a variety of media, such as students' drawings and concept maps, video-recorded interactions, and computer log records. The results of research in educational psychology have many applications in the educational setting. These applications include the design of learning environments and materials, and a wide variety of applications in the realm of the teaching process. Bloom also researched "mastery learning," an instructional strategy in which learners only advance to a new learning objective after they have mastered its prerequisite objectives. He discovered that a combination of mastery learning with one-to-one tutoring is highly effective, producing learning outcomes far exceeding those normally achieved in classroom instruction. ↑ G. B. Semb & J. A. Ellis, 1994. "Knowledge taught in schools: What is remembered?" Review of Educational Research 64: 253-286. ↑ J. A. Ellis, G. B. Semb, & B. Cole, 1998. "Very long-term memory for information taught in school." Contemporary Educational Psychology 23: 419-433. ↑ D. N. Perkins & T. A. Grotzer, 1997. "Teaching intelligence." American Psychologist 52: 1125-1133. ↑ D. K. Detterman, 1993. "The case for the prosecution: Transfer as an epiphenomenon." In D. K. Detterman & R. J. Sternberg (Eds. ), Transfer on trial: Intelligence, cognition, and instruction. (Norwood, NJ: Ablex), 1-24. ↑ D. F. Halpern, 1998. "Teaching critical thinking for transfer across domains." American Psychologist 53: 449-455. ↑ K. E. McGoey, & G. J. DuPaul, 2000. "Token reinforcement and response cost procedures: Reducing the disruptive behavior of preschool children with attention-deficit/hyperactivity disorder." School Psychology Quarterly 15: 330-343. ↑ L. A. Theodore, M. A. Bray, T. J. Kehle, & W. R. Jenson, 2001. "Randomization of group contingencies and reinforcers to reduce classroom disruptive behavior." Journal of School Psychology 39: 267-277. ↑ M. Lepper, R. D. Greene, & Richard E. Nisbett, 1973. :Undermining children's intrinsic interest with extrinsic reward: A test of the “overjustification” hypothesis. : Journal of Personality and Social Psychology 28: 129-137. ↑ J. Cameron, W. D. Pierce, K. M. Banko, & A. Gear, 2005. "Achievement-based rewards and intrinsic motivation: A test of cognitive mediators." Journal of Educational Psychology 97: 641-655. ↑ F. N. Dempster, 1989. "Spacing effects and their implications for theory and practice." Educational Psychology Review 1: 309-330. ↑ D. Krug, T. B. Davis, J. A. Glover, 1990. 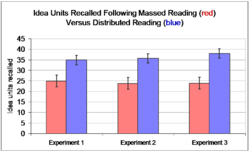 "Massed versus distributed repeated reading: A case of forgetting helping recall?" Journal of Educational Psychology 82: 366-371. ↑ S. Kalyuga, P. Chandler, J. Tuovinen, & John Sweller. 2001. "When problem solving is superior to studying worked examples." Journal of Educational Psychology 93: 579-588. ↑ B. J. Zimmerman, 1998. "Developing self-fulfilling cycles of academic regulation: An analysis of exemplary instructional models." In D. H. Schunk & B. J. Zimmerman (Eds.) Self-regulated learning: From teaching to self-reflective practice (New York: Guilford. ISBN 1572303069), 1-19. ↑ J. Hattie, J. Biggs, & N. Purdie, 1996. "Effects of learning skills interventions on student learning: A meta-analysis." Review of Educational Research 66: 99-136. ↑ D. H. Schunk, & A. R. Hanson, 1985. "Peer models: Influence on children's self-efficacy and achievement behavior." Journal of Educational Psychology 77: 313-322. ↑ A. Collins, J. S. Brown, & S. E. Newman, 1989. "Cognitive apprenticeship: Teaching the crafts of reading, writing, and mathematics." In L. B. Resnick, (Ed. ), Knowing, learning, and instruction: Essays in honor of Robert Glaser. (Hillsdale, NJ, USA: Lawrence Erlbaum Associates, ISBN 0805804609453), 494. ↑ A. E. Woolfolk, P. H. Winne, & N. E. Perry, 2006. Educational Psychology, 3rd Canadian ed. (Toronto, Canada: Pearson). ↑ F. Cano, 2005. "Epistemological beliefs and approaches to learning: Their change through secondary school and their influence on academic performance." British Journal of Educational Psychology 75: 203-221. ↑ A. J. Elliot, 1999. "Approach and avoidance motivation and achievement goals." Educational Psychologist 34: 169–189. ↑ B. Weiner, 2000. "Interpersonal and intrapersonal theories of motivation from an attributional perspective." Educational Psychology Review 12: 1-14. ↑ G. V. Glass, 1976. "Primary, secondary, and meta-analysis of research." Educational Researcher 5: 3-8. ↑ M. T. H. Chi, 1997. "Quantifying qualitative analysis of verbal data: A practical guide." Journal of the Learning Sciences 6: 271-315. ↑ R. D. Pea, 1993. "Learning scientific concepts through material and social activities: Conversational analysis meets conceptual change." Educational Psychologist 28: 265-277. ↑ B. S. Bloom, 1984. "The two sigma problem: The search for methods of group instruction as effective as one-to-one tutoring." Educational Researcher 13 (6): 4–16. Detterman, D. K. & R. J. Sternberg (Eds. ), Transfer on trial: Intelligence, cognition, and instruction. Norwood, NJ: Ablex, 1993. Woolfolk, A. E., P. H. Winne, & N. E. Perry, 2006. Educational Psychology, 3rd Canadian ed. Toronto, Canada: Pearson. This page was last modified on 23 September 2017, at 15:50.